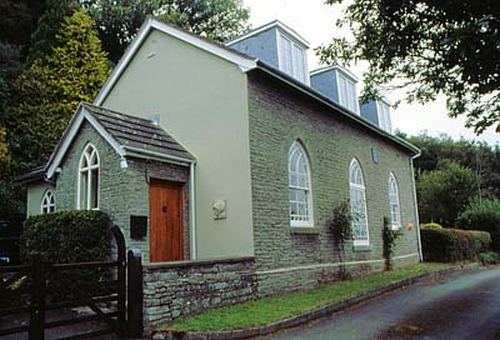 This chapel was built in 1837. In the Religious Census of March 1851 it was reported that they met on Sundays alternately in the afternoon and in the evening. Their number being 80 worshippers in the morning and 100 in the afternoon plus 25 Sunday scholars in the morning. The chapel had closed before 1972 when plans were submitted for its conversion to residential use. This photograph was taken in 2002. All the photographs on this website are copyright and may not be reproduced without the permission of the copyright owner.